Spot On Panel beaters Takapuna are located just 10 minutes from Auckland. 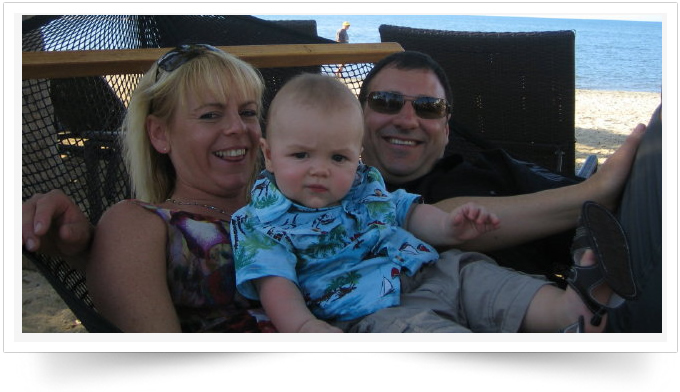 We are a small but efficient family firm, owned and operated by Dave and Adele. We provide quality repairs at fair, reasonable price’s and would love to quote to repair your vehicle and get it looking like new again. We are a 100% owned and operated Auckland panelbeating business with 20 years experience in the auto repair industry. We work for all leading accredited insurance companies as well as private work. Having an accident or having to repair your vehicle can be very inconvenient so to help we can offer you a free courtesy vehicle or arrange pick up and delivery of your car within North Shore and Auckland City. We will endeavor to have your car assessed promptly and professionally while taking care to make sure that all repair work is carried out to the highest professional standards by our team of highly trained panel beaters. Dave with almost 10 years of owning Spot On Panelbeaters guarantee’s all workmanship and is committed to making the stressful time of your car accident, as pain free as possible. With all their combined trade knowledge Dave and his team have a special knack of detecting and repairing those hard to find water leaks. They are also more than happy to offer good practical advice to help get your vehicle back on the road as soon as possible. So please feel free to bring your vehicle in for a free quote and being so close to Auckland city we are very handy, just get off the motor way at Takapuna.